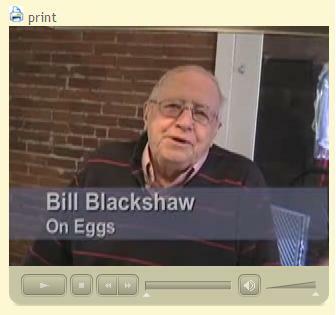 See Bill in fine form preparing his favorite dish: eggs. We also stumbled into a treasure trove of great writing by dad, including Bamboo Latrines (from WW II), Boundaries, A Front Porch in San Diego, and Holidays. Many more great comments, including by John Shean, Amy Schulemberg, the Springers, Janet and Brendan Keleher, Tim McKee, and more. Bill was a founding member of the Ron (Phillips), John (Brooks) and Bill Original Chevy Dealers Bus and Truck Company. We were a a trio of vagabonds that snuck into Denver and Chicago frequently and picked up local crews to produce TV spots for the regional dealer groups. Since we were in and out in a flash, and had extremely limited budgets, we generally avoided the niceities of accepted production. Which meant we rarely had pre-production meetings, got location permits, cops to guide running shots or union talent. This risked us to potentially long and costly production shut downs. But, since God loves Fools and Drunks and the RJB Bus and Truck Co., we generally went about our blithe ways without peril. One potential disaster does live fondly in the recesses of my brain, however. We were shooting at Red Rocks in Denver. If you haven't been there it is an awesomely beautiful natural setting. We were in the middle of some imperative running shots when a Ranger came up to our pickup truck which was doubling as a camera car and stopped us. "Who's in charge here?" the Ranger asked sternly. It was obvious, he didn't suffer poachers easily. Immediately, John, Bill and I pointed at one another. "Lemme see your permit." The Ranger growled. Silence. Desperate measures called for desperate measures. "Sure," I shrugged. "Bill show him the permit." "Permit?" Bill asked innocently. "Didn't you get it?" "No," I responded just as innocently. "I thought you got it." "Gee, I'm sorry officer," Bill apologized. "I think we got mixed signals. Anyway, we're almost done. Would you mind if we just got this one shot?" The Ranger screwed his mouth back and forth mulling it over. Finally he shrugged, . "Ok," and headed for his pickup. "But if anyone asks, I never saw you guys."